You can get the best of both worlds by running a business from your home. Like other small business owners, you can enjoy the satisfaction of being your own boss and being the person who makes the decisions. 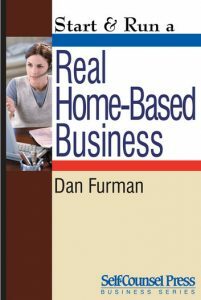 Learn about starting a home-based business with these titles from our digital collections. Whether you want to work at home on your computer, open a daycare, start a local service (like a plumber, computer consultant, pet sitter, etc), or anything else, then Start and Run a Real HomeBased Business is what you've been waiting for. Coaching you all the way, the experts at Entrepreneur guide you into the thriving home-based industry, revealing unique, slam-dunk opportunities, outlining vital business basics, sharing priceless industry need-to-knows, and so much more! If you can bankroll $5,000 (some even less! ), you can boldly choose your next big business move, decide to be your own boss, and start making profits! 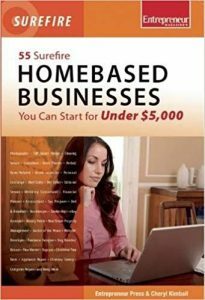 Choose from a diverse list of 55 surefire home-based businesses. Spend less than $5,000 on startup. Quickly and legitimately set up your home office. Master industry language and fundamentals. Use business-specific marketing techniques to secure success. Create: repeat business with engaging customer service practices, plan for expansion, and more. You're on target for success let us help you hit the bull's-eye! As of 2004, nearly three million self-employed women worked at home, and women continue to start home-based businesses at twice the rate of men. Many of these women left the workplace by choice in order to stay home and raise their children. And though their numbers increase each day, resources for this growing market of entrepreneurs are scarce. Making Work at Home Work shows moms how to develop an entrepreneurial mindset without sacrificing their families. It covers important topics such as developing a successful business philosophy, balancing time between work and family, setting realistic goals and handling the challenges of being both "Mommy" and "CEO" while running a profitable home-based business. 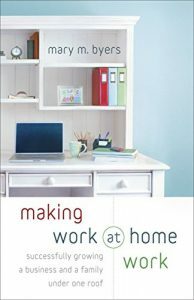 In addition to including her own experiences, author Mary Byers profiles real moms with home-based businesses who offer their hard-won advice. There's never been a better time to start up a cupcake business. This is a great opportunity for anyone who is passionate about cupcakes, creative in spirit, and looking for an outlet to realize their dream…Wherever you are in your entrepreneurial aspirations, this book will help you build on your passion for cupcakes and take it to the next level as a successful business. ANYONE can do this - there are already so many stories from professional pastry chefs to amateur bakers with a vision for success. 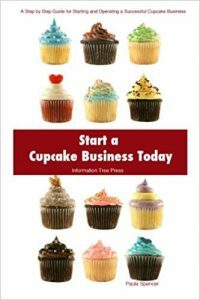 "Start a Cupcake Business Today" equips you with the knowledge and skills you need to start and successfully grow a cupcake bakery anywhere!